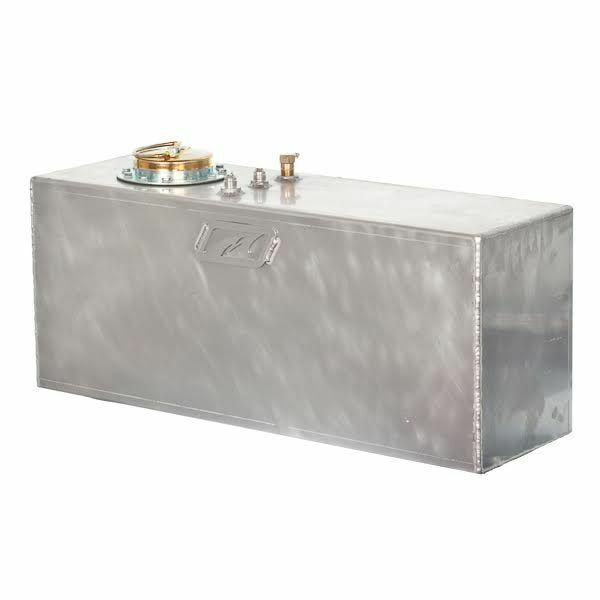 The Motobilt 15 Gallon Fuel Cell with mount is a tank that utilizes an external fuel pump. 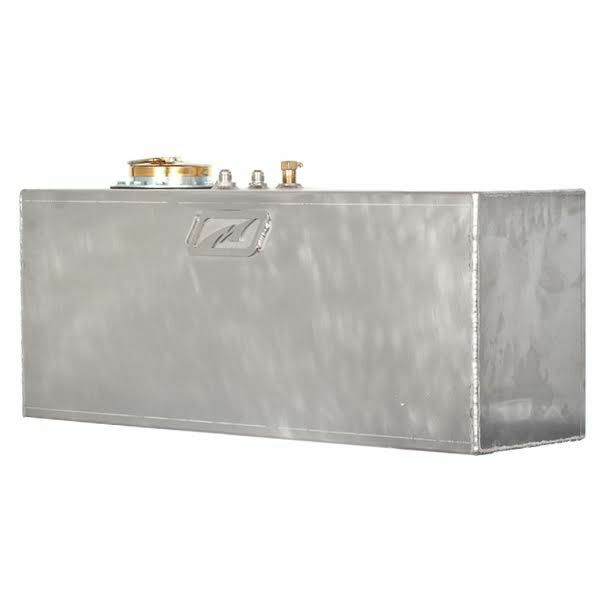 Motobilt offers a solution for relocating the fuel tank in your vehicle. The Motobilt MB5005-3AN was designed to fit in the back bed of your Jeep, truck, or buggy. It is 30 inch x 12 inch x 9 inch and can fit behind your seat if you choose too. The tank has a capacity of roughly 15 US gallons. 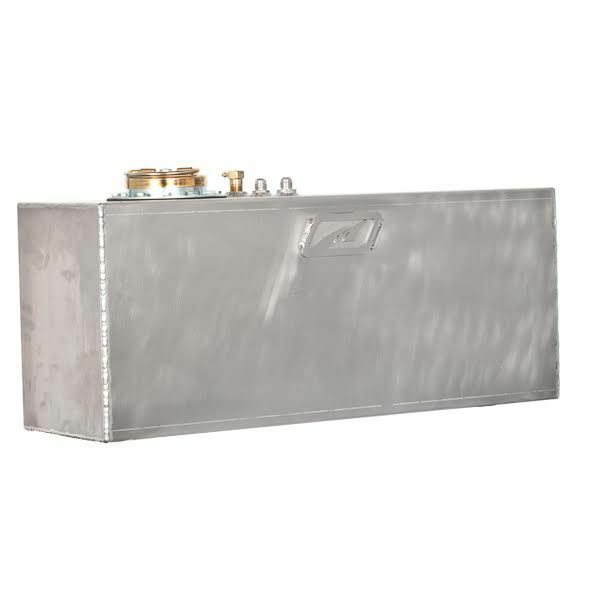 The Motobilt fuel tank is CNC cut from 1/8 inch 5052 aluminum and formed on a press brake, is TIG welded for ultimate strength and includes a large D-ring style cap. This can be converted to remote fill by purchasing a different filler neck system. 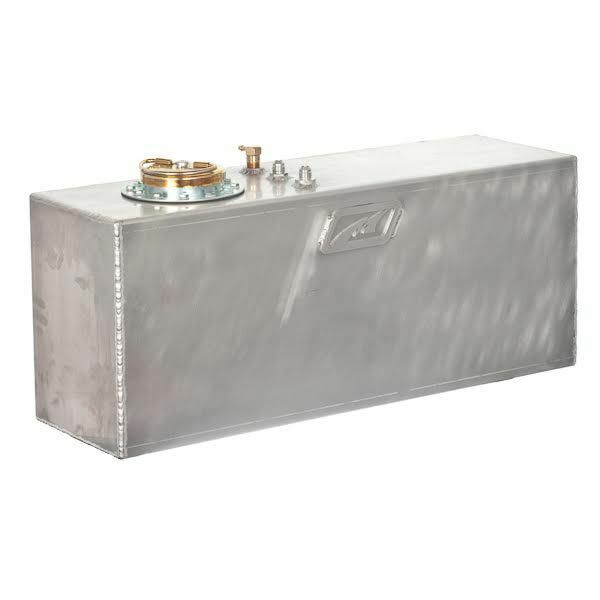 The included Motobilt MB3000 fuel cell mount will fit this tank perfectly. 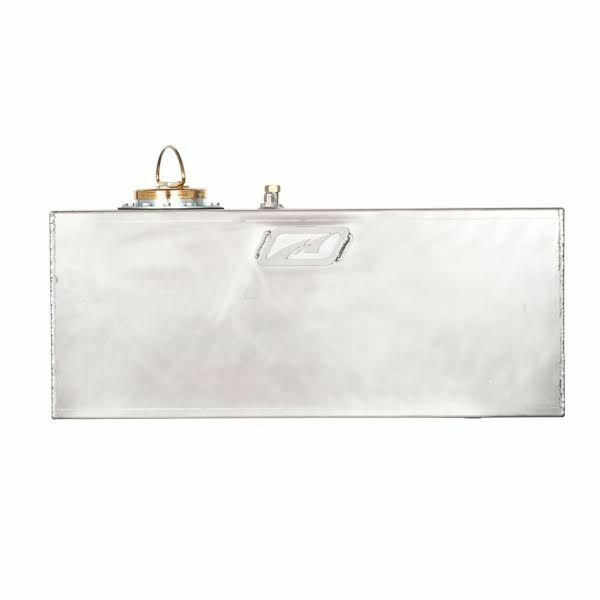 The kit consists of three parts: the main under tank plate and two clamp bodies. The under tank plate is CNC Laser Cut from 1/8 inch high strength steel plate. 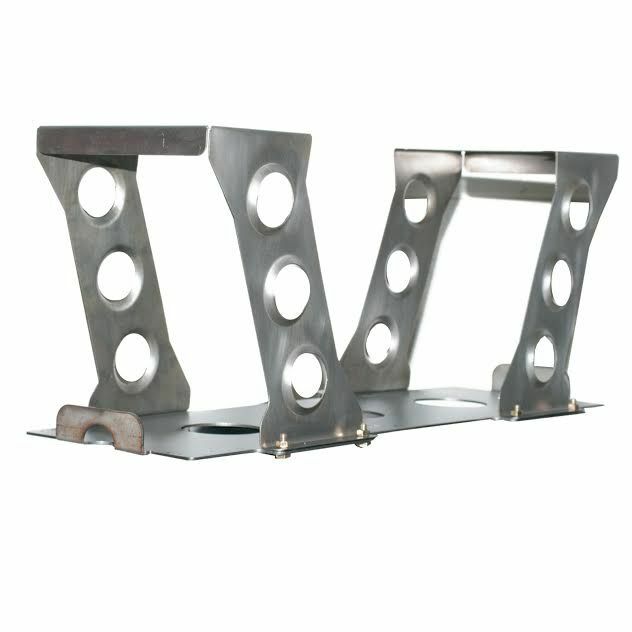 You can weld your own mounting brackets to the bottom if needed or utilize the 8 bolt holes already in the mount. The 2 clamp down bodies capture the top and all four sides of the tank and bolt securely to the mounting base. These parts are CNC Laser Cut but from 18 gauge steel. The parts are formed on a hydraulic press break. 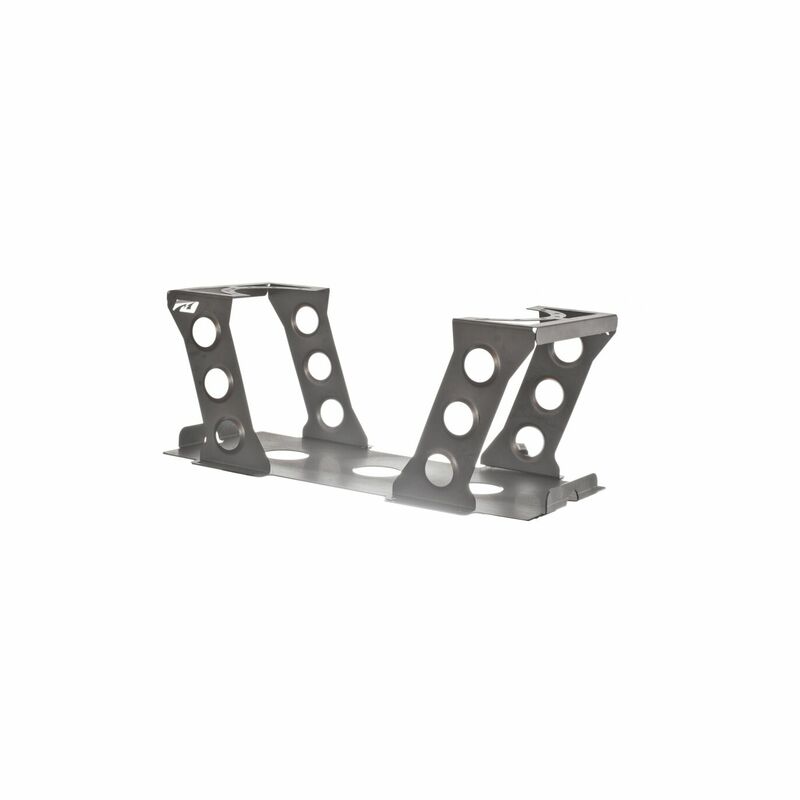 This mount will ensure your fuel cell is mounted securely. The Motobilt tank features 2 number 8 -AN fittings on top of the tank which are tig welded into place and 1 brass roll over valve. The fittings are for Vent line with an included roll over valve pre-installed inside the tank. Fuel pick up with hose and mount inside the tank. A return line fitting. This fuel cell is used for applications where you are extending the wheel base and the rear axle would contact the factory fuel tank. It would also be used in situations where more ground clearance is needed. 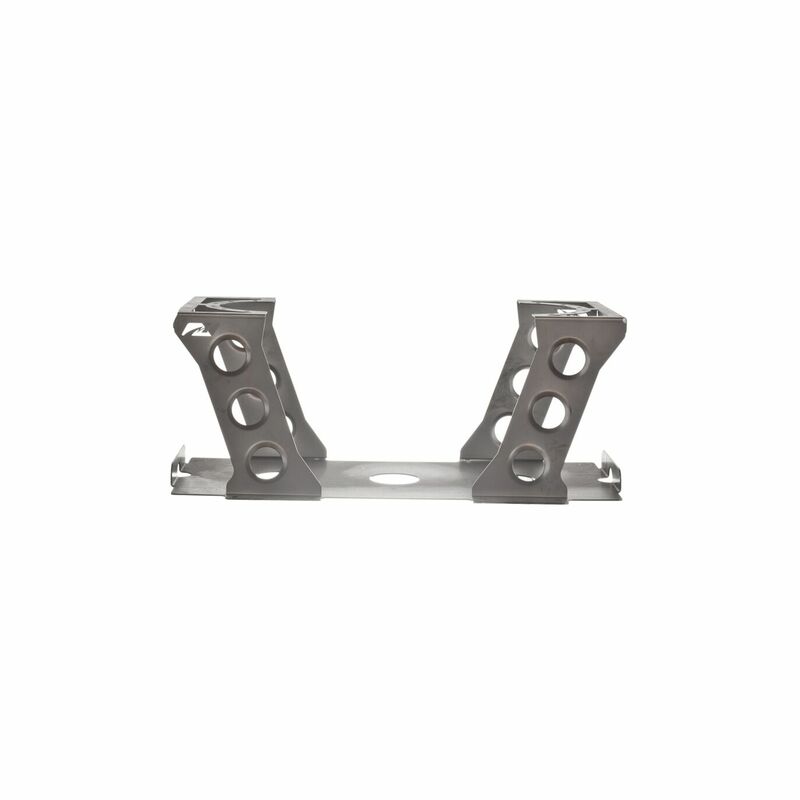 This kit works perfectly with the Motobilt Jeep TJ Back Half kit or Motobilt Jeep LJ back half kit, where the frame rails are moved up and in for ultimate clearance. This fuel cell is used for applications where you are extending the wheel base and the rear axle would contact the factory fuel tank. It would also be used in situations where more ground clearance is needed.